About Bruce Heard and New Stories: What Should I Start With? CAL1 "In Stranger Skies." 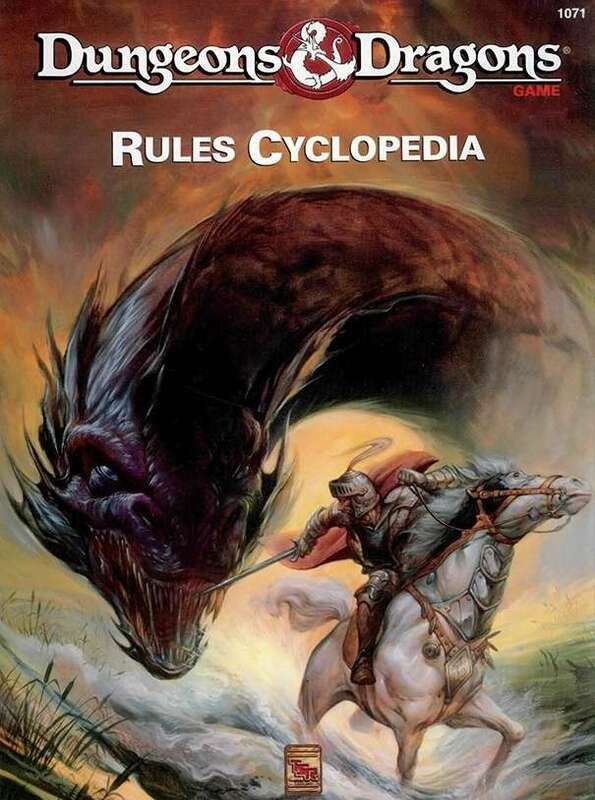 The first in the collection, this gazetteer describes the World of Calidar. 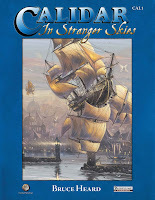 Stranger Skies also tells the first chapter of the Star Phoenix saga, a flying ship that mysteriously emerged in Calidar's space though its crew and captain cannot remember how or why they reached this new universe. 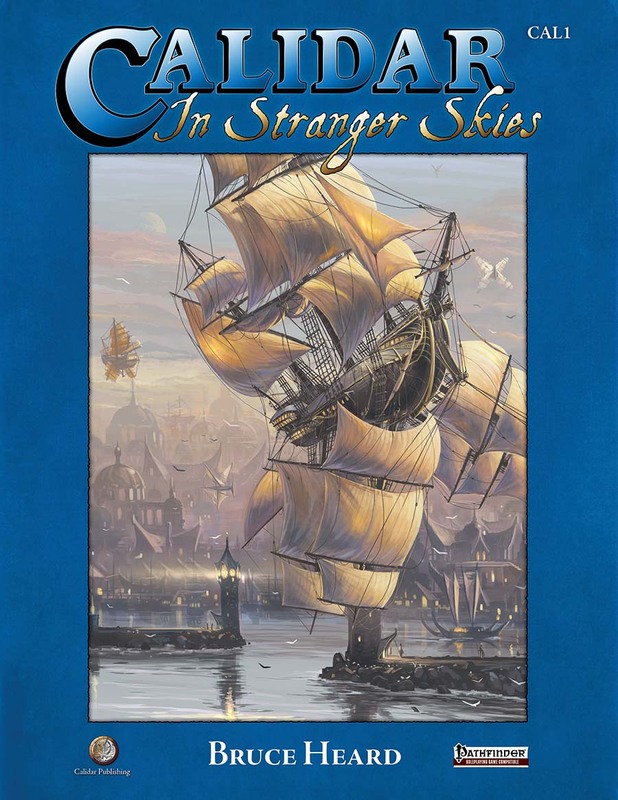 As a book developing a fantasy setting for use with role-playing games, Stranger Skies remains largely system-neutral, in that it can be adapted to most RPGs presently available. Its approach and style are very much OSR. Click here for a copy autographed by the author (US Facebook users only). 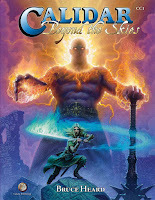 CC1 "Beyond the Skies." The second title is a compendium of gods and their divine pantheons. It describes the strange universe of Ambrosia, land of the gods, the outer planes, and develops key concepts about the world of Calidar which were introduced in CAL1, especially the Dread Lands, the World Souls, the Netherworld, and the mysterious oil of seitha. This compendium is crucial as it unveils the schemes of gods and what takes place behind the curtains, relations between the gods, the powers and duties of fantasy cults, as well as divine brotherhoods and secret societies among mortals. Finally, CC1 delves into more detail about the Ghulean peril, and how this concerns Calidar's deities who fear they may become the ultimate casualties of a coming Armageddon. Click HERE for either the digital or the printed book. CST1 & CST2. Two promotional booklets are available exclusively to Kickstarter backers, CST1 "Under the Great Vault" and CST2 "Skies of Fury." The first unveils prequels preceding the Star Phoenix's arrival in Calidar's universe, as well as a dwarf-human/human-dwarf lexicon. 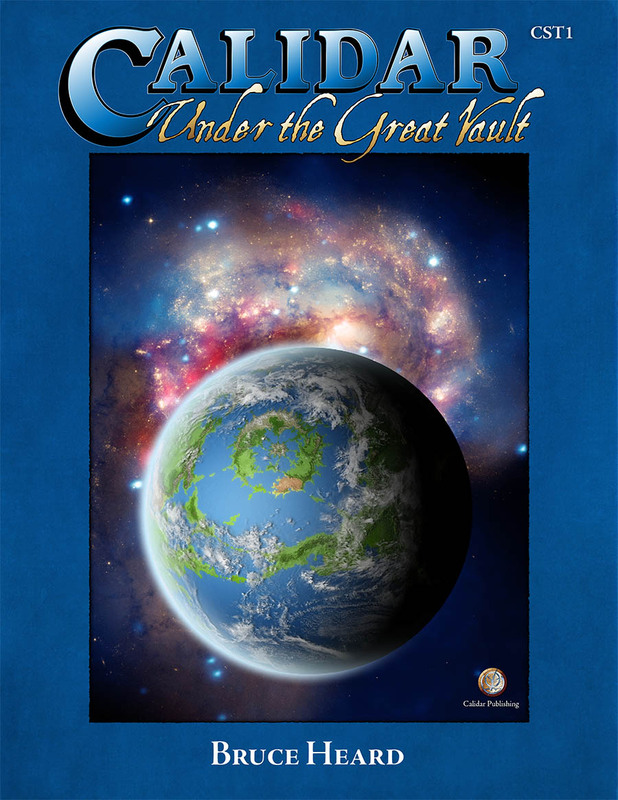 The second book provides two adventures taking the heroes into Calidar space, known as the Great Vault. Newcomers to this collection will be able to secure free PDFs of these two promotional books, or purchase printed copies, when they back another Calidar project. 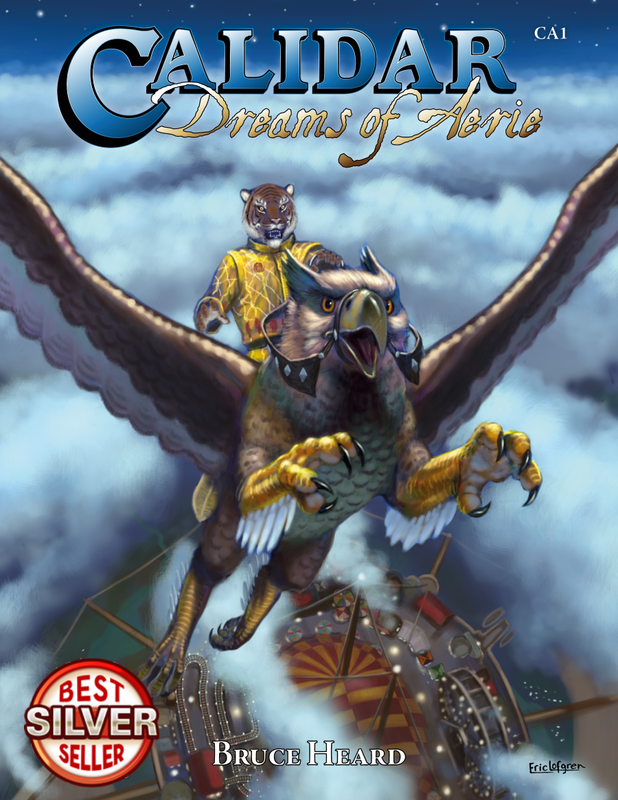 "Dreams of Aerie." 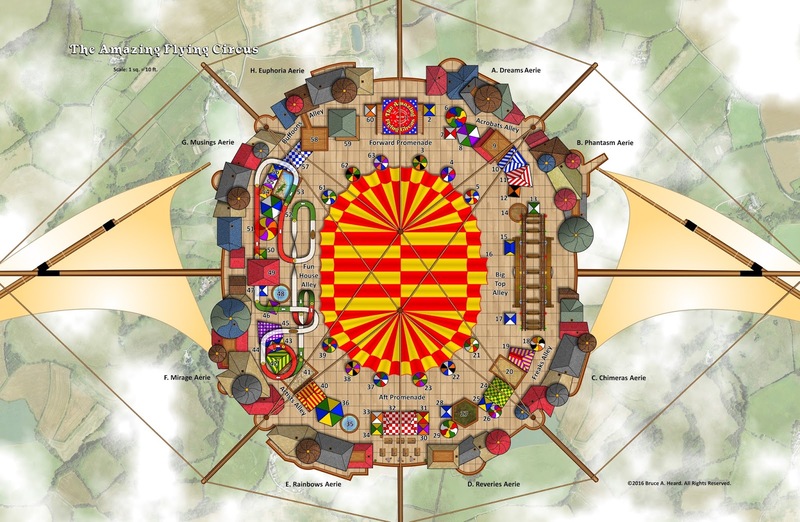 Slated for 2017, this adventure takes place in a flying circus. It involves a central murder-mystery plot for the heroes to unravel as well as countless adventure hooks. Crowd-funding will be needed to finance the purchase of cover art, internal illustrations, editing, and layout. The related Kickstarter event should take place in Spring 2017 (when the author is done with the writing and the deck plans). This will be the next opportunity for new backers to gain access to CST1 and CST2. Two poster maps represent the Great Caldera, Calidar's "Known World", and the Kingdom of Meryath, which has become the Star Phoenix's nation of adoption. 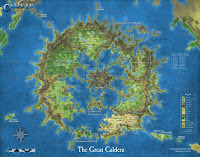 The Great Caldera, shown here, is rendered in realistic style. Kingdom of Meryath uses a hex grid and stylized symbols more practical for close up gaming. Both are folded down to approx. 8"x11" and mailed in a large padded envelope. They are available directly from the author, of from Calidar's Facebook shop (US Facebook users only). For autographed copies of the books, please contact the author privately via Facebook or Google+, or leave a comment after this article. The author will otherwise be more than happy to autograph your books during game conventions. Thank you!